When you land at Manchester’s airport, you’ll need to find a way into the city. Unlike some other cities, that is a relatively simple proposition in Manchester. Manchester airport transport options are both numerous and convenient. The airport is active twenty-four hours a day. You can get to and from it at any time via a number of different options. Deciding on which way to get from the airport to your destination requires consideration of different factors. Finding the best option to get from Manchester Airport can be a daunting task is you are not prepared. These are all key components when one is choosing the right form of Manchester airport transport. If you are planning a trip to Manchester and will be arriving via air, consider the nature of your journey, your finances, and your personal preferences carefully. It will be useful to help you make the best possible decision. Those who require a little more flexibility in their travel from the airport can hail a cab at any hour of the day or night. You’ll pay a bit more than you will with the coaches and buses. However, in this case, Manchester airport taxis will take you directly to the front door of your home. That is hard to beat. It is the best option especially if you are toting a substantial quantity of luggage along with you. National Express coaches provide transport service right to and from the terminal doors. These do not necessarily offer the greatest flexibility regarding drop-off points in the city. However, they are a more popular Manchester airport transport option. This is because they are convenient and affordable to most travelers. You can hop aboard one of the many trains that service the airport. These provide a no hassle way to get from the airport to your destination, as well. They also tend to be a bit more comfortable than the National Express. Some travelers will want even more flexibility. They may opt to rent a car. It can be picked up on-site at the airport. It is not difficult to navigate one’s way from the airport to Manchester proper. 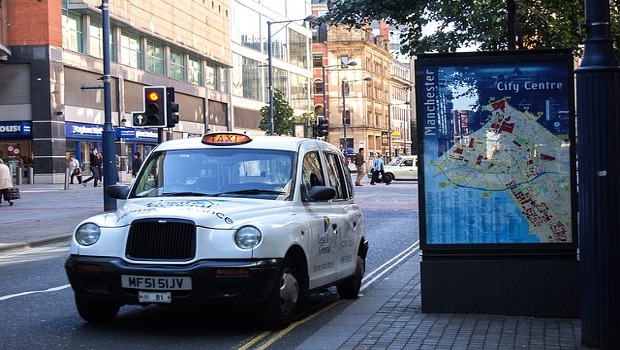 To those who know the area, a rental is the optimal means of Manchester airport transport. It is also popular for those planning on exploring areas outside of the city during their travels. No matter which option you select, you will be sure to find it relatively easy to get to your destination. They have done a great job in forging a variety of connections. Your trip into the city will be relatively quick and painless no matter what. Whether you are going to hop on the National Express coach or plan to rent a late model car from one of the major rental agencies on-site, you will not struggle to complete the “airport to city” leg of your journey. You will arrive early to your destination to have a long rest after the long flight. Transport From Venice Port To Venice Airport: Why Go For A Traditional Taxi?